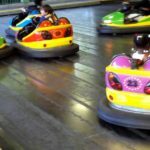 Throughout the years, bumper cars have remained one of the most popular rides at carnivals and amusement parks. These days, they are finding their way into family entertainment centers as well. 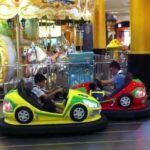 Changes in how the cars operate have made them more practical to install in indoor locations, which in turn has led to more and more businesses adding them as an attraction for their guests. 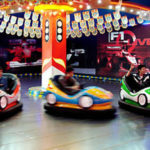 Gone are the days when bumper cars had to have a large pole connected to an electric ceiling. 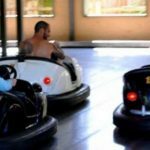 Instead, today’s bumper cars typically run on a conductive floor grid made up of metal strips with insulating spacers in between. The cars themselves have changed a lot in appearance as well. In the past, the cars were somewhat oval shaped, with a large bumper and a steering wheel that the passenger sat behind. These days, they look a bit more like a captain’s chair off of a space ship. The car itself is typically round and resembles a large innertube. In the center, there is a chair with joysticks on either side that are used to control the operation of the vehicle. However, you aren’t only limited to these more modern versions. There are plenty of “retro” style cars available that incorporate the traditional oval-shaped design and steering wheel. The main difference between these newer cars and the ones of the past is that they don’t have a pole up the back that connects to the ceiling. 1. How are the cars powered? Today’s cars can be run on a floor grid, a ceiling grid or a combination floor and ceiling grid. 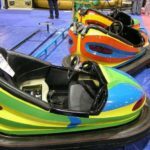 If you aren’t sure what setup is best suited to your location, talk to a bumper car expert. In most cases, a floor grid is the most economical option. However, there may be reasons why one of the other systems is a better choice for your location. 2. Which style of cars do you want? Decide whether you are into the retro look, or whether you want cars that look a bit more modern. Also, consider what colors you want. Typically, the brighter the better when it comes to color since brighter colors will help the cars get noticed. Also, consider whether or not you want additional accessories such as flashing lights to draw even more attention to your vehicles. 3. How much can you afford to spend? 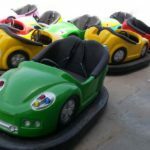 Your overall budget will largely dictate which type of bumper cars you can choose. 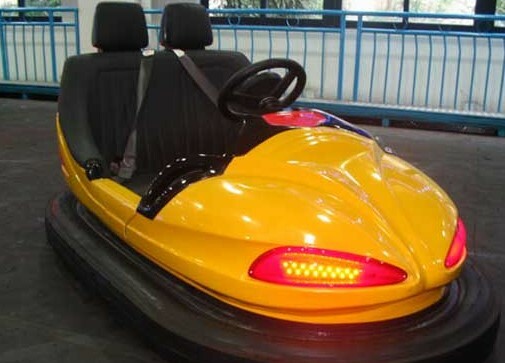 In most cases, you should be able to recoup your initial investment in the bumper cars relatively quickly. 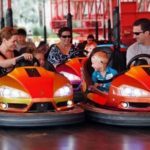 Most family entertainment centers report that they are one of their most popular attractions. 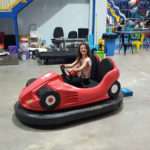 By carefully thinking through all of these factors when buying bumper cars, you should be able to get the best cars for your location.